MANCHESTER, NH (January 17, 2019) — St. Mary’s Bank, the nation’s first credit union, announces the promotion of Samantha Desfosses to Branch Sales & Services Manager of its Hudson branch. Desfosses joined the credit union in 2012 and most recently served as Branch Supervisor at St. Mary’s Bank’s Londonderry branch. In that role, she oversaw the branch’s daily operations and sales. In her new role as Branch Sales & Services Manager, Desfosses will oversee the daily operations of the Hudson branch, providing support and guidance to staff and continuing to ensure excellent member service. Desfosses is an active member of the community in a range of nonprofit organizations. In particular, she coordinates a team every year to walk in the MDA Muscular Walk that provides funds and support for those struggling with the effects of Muscular Dystrophy, a disease which has played a large role in her family life. Desfosses looks forward to continuing her community involvement in her new role at the Hudson branch. 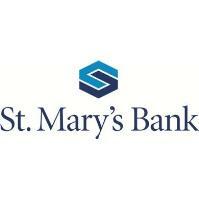 Founded in Manchester, New Hampshire, in 1908, St. Mary’s Bank is the first credit union in the nation. It makes progressive financial products and services available and affordable to consumers and businesses. Members enjoy excellent service, competitive rates, low fees, and state-of-the-art banking services. Headquartered in Manchester, New Hampshire, St. Mary’s Bank has locations in Manchester, Hudson, Londonderry, Milford, and Nashua, with mortgage centers in Concord and Nashua. For more information, call 1-888-786-2791 or visit www.stmarysbank.com.